Larus cachinnans 64P4 3cy, January 22 2016, Boulogne-sur-Mer, France. Picture Jean-Michel Sauvage. 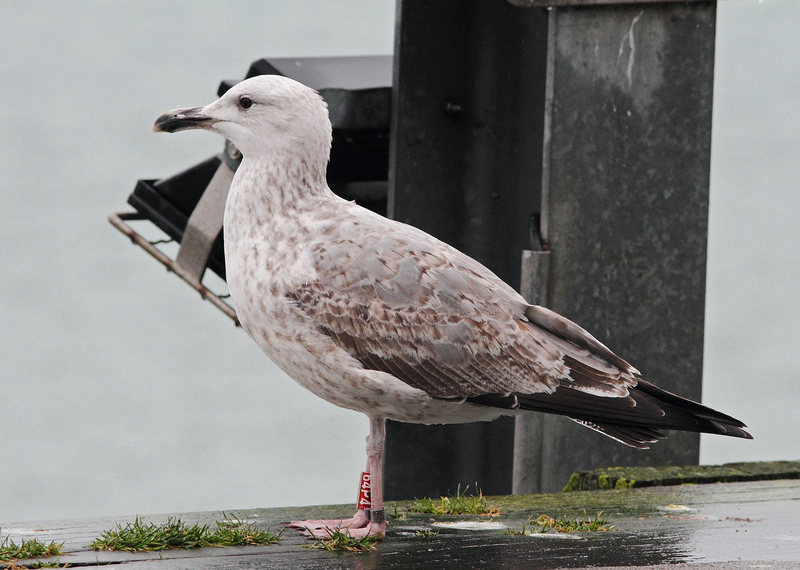 Caspian Gull red ring 64P4, ringed as pullus on May 15 2014 at ZB. Kozielno, Paczow, Poland. 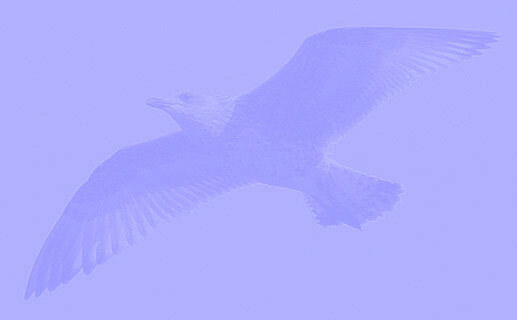 Has been recorded a few times in northern Germany, now at Boulogne-sur-mer, Pas-de-Calais, France. Still a few scapulars with anchor patterns (no completely grey 'saddle'). Limited partial autumn moult in tertials (TT1-2) and wing-coverts: GC1-2, MC1,2,8,9 and LLC3,4.